In this post, we are going to discuss some of the potential issues that can arise when you have impacted wisdom teeth. 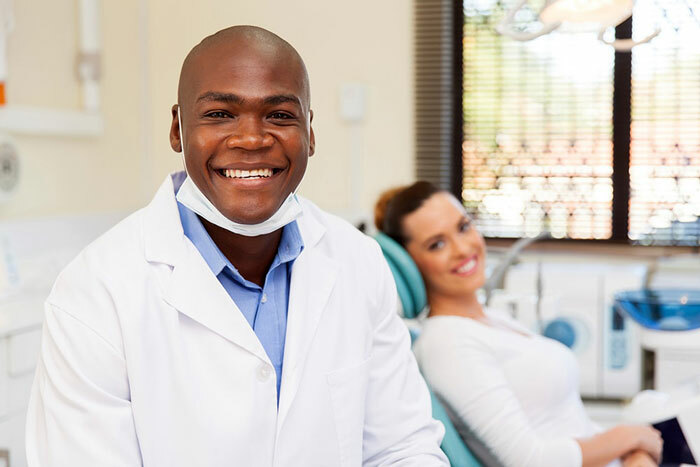 If you would like to speak to a qualified dentist about your wisdom teeth and possible treatment options, please contact Lakeside Dental in Moses Lake right away. Plain and simple, one of the problems that you can encounter with regard to impacted wisdom teeth is the fact that they can be painful. If you are experiencing persistent pain in your jaw near the area of your wisdom teeth, seek out assistance from your dentist. You shouldn’t have to suffer with day-to-day pain because of an impacted wisdom tooth when it is possible to remedy the situation. It’s easy to try and ignore the pain for a while, hoping it will go away on its own. That’s unlikely to happen, however, so getting help is a smart step to take. In addition to the pain you may be experiencing, it’s also possible to have an impacted wisdom tooth lead damage in other teeth. There is usually pressure generated in this situation, and that pressure could lead to crowding or misalignment with some of your other teeth. In this way, the problem of a single impacted molar could lead to a chain reaction of negative events. Again, there is no reason to let that occur when you can take action with the help of an experienced dentist. By alleviating this problem as soon as possible, you can give the other teeth in your mouth an improved chance at a healthy future. It seems that wisdom teeth which are at least partially impacted are more likely to develop decay than other teeth. If you think about it, this makes sense, as it is going to be quite difficult to clean those impacted teeth due to their location in the mouth and the fact that they are not fully exposed. Without being able to clean them thoroughly, you may wind up with food particles and bacteria trapped in the area. That can lead to decay, which will then need to be addressed by your dentist at some point. Rather than ignoring the problem of an impacted wisdom tooth until it ends up in a decayed state, deal with the issue now and avoid that trouble down the line. Along the same lines as tooth decay, you can also face problems with gum disease if you are unable to clean the area around your impacted wisdom tooth properly. With gum disease, your gums will become inflamed and you will probably experience a significant amount of pain as a result. Even if you do your best to clean the area near your wisdom teeth, it might not be possible to steer clear of gum disease just because of the way impacted teeth are positioned in the mouth. The problems you experience as a result of impacted wisdom teeth might affect other people in addition to yourself. Since you’ll likely have issues cleaning the area around your impacted tooth properly – as mentioned above – you may end up with persistent bad breath that results from the food particles and bacteria trapped in your mouth. Obviously, bad breath can impact those around you on a daily basis, such as family members or co-workers who spend time with you in close quarters. If you have developed bad breath recently and aren’t sure of the cause, it’s possible that impacted wisdom teeth are to blame. Yet again, we find a problem that can stem from the inability to clean your mouth correctly in the area around an impacted wisdom tooth. This time, the issue comes in the form of a nasty taste that can hang out in your mouth for a long period of time. You’ll likely come to notice this problem slowly, as it is easy to blame it on something else until you realize just how long it has been carrying on. When you notice that you have a bad taste in your mouth on a regular basis, it will become clear that something needs to be done to improve your overall oral health. For individuals who experience pain as a result of their impacted wisdom teeth, it is a pretty easy decision to seek treatment. After all, no one wants to deal with that kind of discomfort day after day. However, there are a number of other side effects which are not as pronounced but can still have a negative impact on your day to day life. If you suspect that impacted wisdom teeth are giving you trouble in one way or another, talking to your dentist is the logical first step to take. When you are ready to take action with regard to your impacted wisdom teeth, contact Lakeside Dental for help. Of course, you may not know if your wisdom teeth are impacted or not – and that’s okay. We’ll be able to examine the situation, offer some potential treatment options, and work with you to make the best decision for your needs. Thank you for taking the time to visit our blog, and we hope to see you soon!